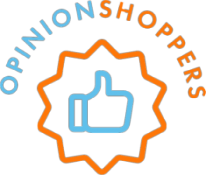 Opinion Shoppers among the finalists to present at the IIex Innovation Insights Competition! So what’s next? In 3 weeks from now, the finalists will have a chance to pitch their concepts to a panel of judges comprised of sponsors of the competition in a live event. The panel of judges will be moderated by Gregg Archibald, Senior Partner at Gen2 Advisors. On February 20th, the competition winner will be announced! The Insight Innovation Competition collaborates with many corporate venture groups, strategic investors, angels, private equity groups, funds and incubators who view the Competition as a vital source of prospective deal flow. IIeX track record of producing winning companies that have gone on to rapid growth has made the IIeX event series a destination for representatives from many potential funding partners, and being on stage during the Competition gives participants an unrivaled opportunity to expose them to your business and make connections afterward. In addition, Corporate Partners include leaders from around the world in many sectors who also depend on IIeX and the Competition as the funnel for finding and engaging with new innovative partners. The Insight Innovation Competition was started by GreenBook to help budding entrepreneurs bring innovative ideas to life while connecting brands to fresh and untapped sources of competitive advantage through deeper consumer understanding. We are pleased to announced that our CEO & Co-founder, Michael Wiesenfeld, will be presenting our innovative solution, offering instantly actionable feedback on the Point of Sale/Experience , at the upcoMichaming Annual Corporate Research Conference in Chicago on October 17th 2017. Kiss “good bye”to nasty online reviews! Show that you care now, not tomorrow! Swiftly capture instant feedback/ratings thru your Payment Terminal (POS) or web-mobile platform using our disruptive, yet easy and user-friendly technology. These terms and conditions (the “Terms”) govern your access to and use of (i) Beloot POS LLC’s software and systems known as Opinion Shoppers (the “Software”), including those for online transmission and processing of files, materials, data, text, audio, video, images or other content (collectively, “Content”); (ii) Beloot POS LLC’ websites and mobile applications that link to or reference these Terms (“Services”). By accessing or using the Services, you are agreeing to these Terms and entering into a legally binding contract with Beloot POS LLC., a Florida corporation (“Beloot POS LLC”). Do not access or use the Services if you are unwilling or unable to be bound by the Terms. “You” and “your” refer to you, as a user of the Services. A “user” is someone who accesses, browses, crawls, scrapes, posts to or in any way uses the Services. “We,” “us,” and “our” refer to Beloot POS LLC. “Content” means text, images, photos, audio, video, location data, and all other forms of data or communication. “Your Content” means Content that you submit or transmit to, through, or in connection with the Services, such as information about yourself, reviews, messages, comments, photos and any other information that you transmit, display or displayed. “Beloot POS LLC Content” means Content that we create and make available in connection with the Services. “Services Content” means all of the Content that is made available in connection with the Services, including Your Content and Beloot POS LLC Content. We may modify the Terms from time to time. The most current version of these Terms will be posted on our website’s dedicated URL provided. You understand and agree that your access to or use of the Services is governed by the Terms effective at the time of your access to or use of the Services. If we make material changes to these Terms, we will notify you by email or by posting a notice on the Services prior to the effective date of the changes. We will also indicate at the top of this page the date that revisions were last made. You should revisit these Terms on a regular basis as revised versions will be binding on you. Any such modification will be effective upon our posting of new Terms. You understand and agree that your continued access to or use of the Services after the effective date of modifications to the Terms indicates your acceptance of the modifications. The Services are not intended for use by you if you are under 13 years of age. By agreeing to these Terms, you are representing to us that you are over 13.The Services are not intended for use by you if you are under 13 years of age. By agreeing to these Terms, you are representing to us that you are over 13. You may not access or use the Services if you are a competitor of ours or if we have previously prohibited your use of the Services or closed your account. We grant you a limited, nonexclusive, nontransferable, revocable license to use the Services subject to the restrictions in these Terms. hereby grants you a limited, nonexclusive, nontransferable, revocable license to use the Software, solely to access the Services.hereby grants you a limited, nonexclusive, nontransferable, revocable license to use the Software, solely to access the Services.hereby grants you a limited, nonexclusive, nontransferable, revocable license to use the Software, solely to access the Services.Your use of the Services is at your own risk. The Services may be modified, updated, interrupted, suspended or discontinued at any time without notice or liability. By using the Services, you agree to receive communications in connection with the Services, from Beloot POS LLC, its customers or third parties, which may include Services related communication, as well as offers and advertisements. If you choose to create a user account, you are responsible for maintaining the confidentiality of your account password. You are also responsible for all activities that occur in connection with your account. You agree to notify us immediately of any unauthorized use of your account. We reserve the right to close your account or prohibit your use of the Services at any time for any or no reason. Your account is for your personal, non-commercial use only. In creating it, you may not impersonate someone else, create or use an account for anyone other than yourself, provide an email address other than your own, or create multiple accounts. You are solely responsible for Your Content, and once published, it may not be retracted. You assume all risks associated with Your Content, including anyone’s reliance on its quality, accuracy, or reliability, or any disclosure by you of information in Your Content that makes you personally identifiable. You represent that you own, or have the necessary permissions to use and authorize the use of Your Content as described in these Terms. You may not imply that Your Content is in any way sponsored or endorsed by anyone but you. As between you and Beloot POS LLC, you own Your Content. We own the Beloot POS LLC Content, including but not limited to visual interfaces, interactive features, graphics, design, compilation, computer code, products, software and all other elements and components of the Services excluding Your Content. We also own the copyrights, trademarks, service marks, trade names, and other intellectual and proprietary rights throughout the world (“IP Rights”) associated with the Beloot POS LLC Content and the Services, which are protected by copyright, trade dress, patent, trademark laws and all other applicable intellectual and proprietary rights and laws. As such, you may not modify, reproduce, distribute, create derivative works or adaptations of, publicly display or in any way exploit any of the Beloot POS LLC Content in whole or in part except as expressly authorized by us. Except as expressly and unambiguously provided herein, we do not grant you any express or implied rights, and all rights in and to the Services and the Beloot POS LLC Content are retained by us. Beloot POS LLC and its customers may publicly display advertisements and other information adjacent to or included with Your Content. You are not entitled to any compensation for such advertisements. The manner, mode and extent of such advertising are subject to change without specific notice to you. We are under no obligation to enforce the Terms on your behalf against any other party. While we encourage you to let us know if the Terms have been violated, we reserve the right to investigate and take appropriate action at our sole discretion. Violate any applicable law, rule or regulation, whether in the United States of America or in any other country or jurisdiction. Remove, circumvent, disable, damage or otherwise interfere with any security-related features of the Services, features that prevent or restrict the use or copying of Services Content, or features that enforce limitations on the use of the Services. The restrictions above only apply to the extent permissible under applicable law. Nevertheless, you agree not to act contrary to them (even if permissible under applicable law) without providing 30 days prior written notice to us here, together with any information that we may reasonably require to give us an opportunity to provide alternative remedies or otherwise accommodate you at our sole discretion. By sending us any ideas, suggestions, documents or proposals (“Feedback”), you agree that (i) your Feedback does not contain the confidential or proprietary information of third parties, (ii) we are under no obligation of confidentiality, express or implied, with respect to the Feedback, (iii) we may have something similar to the Feedback already under consideration or in development, and (iv) you grant us an irrevocable, non-exclusive, royalty-free, perpetual, worldwide license to use, modify, prepare derivative works, publish, distribute and sublicense the Feedback, and you irrevocably waive, and cause to be waived, against Beloot POS LLC and its users any claims and assertions of any moral rights contained in such Feedback. The Services may include links to other websites or applications (each, a “Third Party Services”). We do not control or endorse any Third Party Services. You agree that we are not responsible for the availability or contents of such Third Party Sites. Your use of Third Party Sites is at your own risk. You agree to indemnify, defend, and hold Beloot POS LLC, its parents, subsidiaries, affiliates, any related companies, suppliers, licensors and partners, and the officers, directors, employees, agents and representatives of each of them (collectively, the “Beloot POS LLC Entities”) harmless, including costs, liabilities and legal fees, from any claim or demand made by any third party arising out of or relating to (i) your access to or use of the Services, (ii) your violation of the Terms, (iii) any products or services purchased or obtained by you in connection with the Services, or (iv) the infringement by you, or any third party using your account, of any intellectual property or other right of any person or entity. Beloot POS LLC reserves the right, at your expense, to assume the exclusive defense and control of any matter for which you are required to indemnify us and you agree to cooperate with our defense of these claims. You agree not to settle any such matter without the prior written consent of Beloot POS LLC. Beloot POS LLC will use reasonable efforts to notify you of any such claim, action or proceeding upon becoming aware of it. PLEASE READ THIS SECTION CAREFULLY SINCE IT LIMITS THE LIABILITY OF THE Beloot POS LLC TO YOU. EACH OF THE SUBSECTIONS BELOW ONLY APPLIES UP TO THE MAXIMUM EXTENT PERMITTED UNDER APPLICABLE LAW. NO LANGUAGE IS INTENDED TO LIMIT ANY RIGHTS YOU MAY HAVE. IF YOU ARE UNSURE ABOUT THIS OR ANY OTHER SECTION OF THESE TERMS, PLEASE CONSULT WITH AN ATTORNEY PRIOR TO ACCESSING OR USING THE SERVICES. BY ACCESSING OR USING THE SERVICES, YOU REPRESENT THAT YOU HAVE READ, UNDERSTOOD, AND AGREE TO THESE TERMS, INCLUDING THIS SECTION. YOU ARE GIVING UP SUBSTANTIAL LEGAL RIGHTS BY AGREEING TO THESE TERMS. THE SERVICES ARE MADE AVAILABLE TO YOU ON AN “AS IS”, “WITH ALL FAULTS” AND “AS AVAILABLE” BASIS, WITH THE EXPRESS UNDERSTANDING THAT Beloot POS LLC MAY NOT MONITOR, CONTROL, OR VET YOUR CONTENT. AS SUCH, YOUR USE OF THE SERVICES IS AT YOUR OWN DISCRETION AND RISK. Beloot POS LLC MAKES NO CLAIMS OR PROMISES ABOUT THE QUALITY, ACCURACY, OR RELIABILITY OF THE SERVICES, ITS SAFETY OR SECURITY, OR THE SERVICES CONTENT. ACCORDINGLY, Beloot POS LLC IS NOT LIABLE TO YOU FOR ANY LOSS OR DAMAGE THAT MIGHT ARISE, FOR EXAMPLE, FROM THE INOPERABILITY OR AVAILABILITY OF THE SERVICES OR SECURITY VULNERABILITIES. Beloot POS LLC MAKES NO CLAIMS OR PROMISES WITH RESPECT TO ANY THIRD PARTY, INCLUDING ITS CUSTOMERS. ACCORDINGLY, Beloot POS LLC IS NOT LIABLE TO YOU FOR ANY LOSS OR DAMAGE THAT MIGHT ARISE FROM THEIR ACTIONS OR OMISSIONS, INCLUDING, FOR EXAMPLE, IF ANOTHER BUSINESS MISUSES YOUR CONTENT, IDENTITY OR PERSONAL INFORMATION, OR IF YOU HAVE A NEGATIVE EXPERIENCE WITH ONE OF THE BUSINESSES FEATURED ON THE SERVICES. YOUR PURCHASE AND USE OF PRODUCTS OR SERVICES OFFERED BY THIRD PARTIES THROUGH THE SERVICES IS AT YOUR OWN DISCRETION AND RISK. Beloot POS LLC EXPRESSLY DISCLAIMS ALL WARRANTIES, WHETHER EXPRESS OR IMPLIED, INCLUDING WARRANTIES AS TO THE PRODUCTS OR SERVICES OFFERED BY BUSINESSES LISTED ON THE SERVICES, AND IMPLIED WARRANTIES OF MERCHANTABILITY, FITNESS FOR A PARTICULAR PURPOSE, AND NON-INFRINGEMENT. NO ORAL OR WRITTEN INFORMATION OR ADVICE PROVIDED TO YOU BY A REPRESENTATIVE OF Beloot POS LLC SHALL CREATE A REPRESENTATION OR WARRANTY. YOUR SOLE AND EXCLUSIVE RIGHT AND REMEDY IN CASE OF DISSATISFACTION WITH THE SERVICES, RELATED SERVICES, OR ANY OTHER GRIEVANCE SHALL BE YOUR TERMINATION AND DISCONTINUATION OF ACCESS TO, OR USE OF THE SERVICES. THE MAXIMUM AGGREGATE LIABILITY OF THE Beloot POS LLC ENTITIES TO YOU FOR LOSSES OR DAMAGES THAT YOU SUFFER IN CONNECTION WITH THE SERVICES OR THESE TERMS IS LIMITED TO $20. THE Beloot POS LLC ENTITIES DISCLAIM LIABILITY FOR ANY (i) INDIRECT, SPECIAL, INCIDENTAL, PUNITIVE, EXEMPLARY, RELIANCE, OR CONSEQUENTIAL DAMAGES, (ii) LOSS OF PROFITS, (iii) BUSINESS INTERRUPTION, (iv) REPUTATIONAL HARM, OR (v) LOSS OF INFORMATION OR DATA. We may close your account, suspend your ability to use certain portions of the Services, and/or ban you altogether from the Services for any or no reason, and without notice or liability of any kind. Any such action could prevent you from accessing your account, the Services, Your Content, Services Content, or any other related information. In the event of any termination of these Terms, whether by you or us, Sections 1, 4, 5, 10 through 12 will continue in full force and effect. Beloot POS LLC will retain the right to use Your Content even after termination and closure of your account. THESE TERMS AND THE USE OF THE SERVICES AND SOFTWARE WILL BE GOVERNED BY CALIFORNIA LAW EXCEPT FOR ITS CONFLICTS OF LAWS PRINCIPLES. ALL CLAIMS ARISING OUT OF OR RELATING TO THESE TERMS OR THE SERVICES OR SOFTWARE MUST BE LITIGATED EXCLUSIVELY IN THE FEDERAL OR STATE COURTS OF SANTA CLARA COUNTY, CALIFORNIA, AND BOTH PARTIES CONSENT TO VENUE AND PERSONAL JURISDICTION THERE. These Terms constitute the entire and exclusive agreement between you and Beloot POS LLC with respect to the Services, and supersede and replace any other agreements, terms and conditions applicable to the Services. These Terms create no third party beneficiary rights. Beloot POS LLC’ failure to enforce a provision is not a waiver of its right to do so later. If a provision is found unenforceable the remaining provisions of the Agreement will remain in full effect and an enforceable term will be substituted reflecting our intent as closely as possible. You may not assign any of your rights in these Terms, and any such attempt is void, but Beloot POS LLC may assign its rights to any of its affiliates or subsidiaries, or to any successor in interest of any business associated with the Services. We may store the information you submit to or through the Services, as well as information we collect in connection with your use of the Services. We use the information to provide analytics and feedback for our business customers; to improve the Services’ functionality and quality; track usage of the Services; display relevant advertising; provide customer support; message you; back up our systems and allow for disaster recovery; enhance the security of the Services; and comply with legal obligations. Account Information. If you create a user account, we may store and use your full name, e-mail address, your gender and birth date and any photos you submit, and we share this information with our business customers. We will not, however, publish personal data that includes your e-mail address, birthdate, physical address or phone number, unless you specifically give us or our business customers permission to do so. You can modify some of the information associated with your user account. Information Provided Without User Account. You are permitted to use the Services without creating a user account. However, you must be aware that even if you do not create a user account, you may not necessarily be anonymous and could still be personally identifiable to us through your IP address or to others by Your Content and personal information you post. Without creating a user account, you may still be contacted through the Services by Beloot POS LLC or its business customers in response to your comments or posts, and you permit us or our business customers to do so. Use of Your Content: The information that you post to the Services is intended for public viewing, including your photos and comments, and by supplying Your Content, you give Beloot POS LLC permission to publish your name, photos, comments, feedback and posts through the Beloot POS LLC platform. We may also display this information on the Services and share it with our business customers. We or our business customers may further distribute it to a wider audience through third party sites, applications and services. Communications: When you use the Services, you are consenting to communications from Beloot POS LLC and its business customers, whether or not you have created a user account. If you have a user account, you can manage your email preferences, but note that you cannot opt out of receiving certain administrative or legal notices from Beloot POS LLC . If you access the Services from your phone via SMS text message, we may log your phone number, phone carrier, and the date and time of access. Services Activity: We may store information about your use of the Services. We also may store information that your computer or mobile device provides to us in connection with your use of the Services, such as your browser type, type of computer or mobile device, browser language, IP address, mobile carrier, unique device identifier, location, and requested and referring URLs. Processes: Used to make the Services work in the way you expect it to. Example: a Cookie tells us if you have already signed up for an account. Authentication, Security, and Compliance: Used to prevent fraud, protect your data from unauthorized parties, and comply with legal requirements. Example: a Cookie tells us if you are logged in. Preferences: Used to remember information about how you prefer the Services to behave and look. Example: a Cookie tells us whether you have declined to allow us to use your phone’s geolocation data. Notifications: Used to allow notice of information or options that we think could improve your use of the Services. Example: a Cookie allows us to stop showing you the signup notification if you have already seen it. Advertising: Used to make advertising more relevant to users and more valuable to advertisers. Example, a Cookie that tells us if you have recently clicked on an ad. Analytics: Used to help us understand how visitors use the Services. For example, we use a Cookie that tells us how our search suggestions correlate to your interaction with the search page. It may be possible to disable some (but not all) Cookies through your device or browser settings, but doing so may affect your ability to use the Services. The method for disabling cookies may vary by device and browser, but can usually be found in preferences or security settings. Advertisers: We may allow third parties on the Services to collect the same type of information for the same purposes as Beloot POS LLC does for itself. They may be able to associate the information they collect with other information they have about you from other sources. We do not necessarily have access to or control over the Cookies they use. Service Providers: Some of our Servcies may be provided by third-party providers. We may outsource some of Beloot POS LLC’ functions to third-party providers, such as technical and customer support, tracking and reporting functions, quality assurance testing, and other services. We may share information from or about you with these third-party providers so that they can perform their services or complete your requests. Aggregate Information: We do share user information and Your Content in the aggregate with third parties, including our business customers. For example, we may disclose the number of users that have been exposed to, or clicked on, advertisements. Investigations: We may investigate and disclose information from or about you if we have a good faith belief that such investigation or disclosure is (a) reasonably necessary to comply with legal process and law enforcement instructions and orders, such as a search warrant, subpoena, statute, judicial proceeding, or other legal process served on us; (b) helpful to prevent, investigate, or identify possible wrongdoing in connection with the Services; or (c) protect our rights, reputation, property, or that of our users, affiliates, or the public. The Services is intended for general audiences and is not directed to children under 13. We do not knowingly collect personal information from children under 13. If you become aware that a child has provided us with personal information without parental consent, please contact us here. If we become aware that a child under 13 has provided us with personal information without parental consent, we take steps to remove such information and terminate the child’s account. The information we obtain from or about you may be processed and stored in the United States, which may provide for different data protection rules than the country in which you reside. We comply with the EU & Swiss Safe Harbor Privacy Frameworks as set forth by the United States Department of Commerce regarding the collection, use, and retention of data from the European Union and Switzerland. We have certified that we adhere to the Safe Harbor Privacy Principles of notice, choice, onward transfer, security, data integrity, access and enforcement. We will respond to requests relating to personal data within 30 days. To learn more about the Safe Harbor program, and to view our certification, please visithttp://export.gov/safeharbor. Interested to learn more about our solution for?